A Tax Office proposal to expand the definition of ordinary time earnings (OTE) to include regular overtime payments when calculating the 9 percent Superannuation Guarantee will significantly inflate employment costs and promote a shift from full-time to contract labour, according to a leading industrial organisation. The draft ruling, with a proposed start date of April 1, 2009, would see earnings paid at overtime rates included in OTE where those overtime hours are considered by the ATO to be ‘regular, normal, customary or usual’. 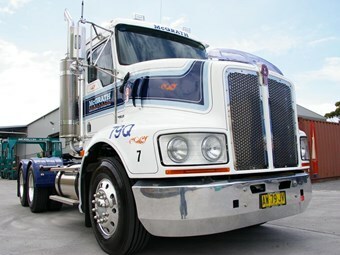 In a submission to the ATO, the Australian Road Transport Industrial Organisation (ARTIO) contends the proposal would push up superannuation costs across the industry by around 50 percent. To illustrate the potential impact, ARTIO cites the example of a driver whose superannuation is currently paid on an average earnings base of around $55,000. The proposed change in interpretation would effectively result in superannuation being payable on the salary or wages of most drivers, which can be in the order of $80,000 to $100,000 per annum where drivers choose to perform overtime. "In a worst-case scenario the proposed change in interpretation could effectively double the superannuation costs of an employer. On a broad assessment, we estimate that superannuation costs across the industry would increase by approximately 50 percent," the submission states. In addition, the ARTIO argues there would be significant further on-costs, such as additional payroll tax, workplace injury insurance premiums and costs to build new payroll processes and systems. In particular, it estimates an additional 5-6 percent in payroll tax would be incurred and an additional 4-5 percent in workplace injury insurance premiums – resulting in an overall 4-5 percent increase in an average transport operator’s annual wages bill. "We note that the increase in direct employment costs resulting from the proposed change in interpretation would arise without any productivity or efficiency gains and would therefore directly impact on the profitability of the industry and individual businesses," the submission concludes. "The Draft Ruling would contribute directly to a reduction in employment levels across our industry and a shift from full-time employment to contract labour. "These outcomes are in direct contrast to the current focus of the Government in response to the state of the global economy and therefore should not be supported or pursued in the current economic climate." What’s more, the proposed categorisation of transport workers paid on a per trip basis as piece-rate employees is not only "incorrect", but would result in workers paid on hourly rates being treated inconsistently and ultimately less favourably for superannuation purposes, the ARTIO opines. The effect of the Draft Ruling, it suggests, would be that transport workers paid using the cents per kilometre method would always receive superannuation on their total earnings. Transport workers paid under the hourly rate method would generally only receive superannuation on their standard 38 hours with the potential to receive superannuation on additional earnings where ‘regular, normal, customary or usual’. Not only would this approach result in a definition of OTE that equates with an employee’s salary or wages – an idea considered and dismissed by the Federal Parliament in 2004, it would be "unworkable on a practical level". "Determining when a driver’s additional hours become sufficiently ‘regular, normal, customary or usual’ could only be made in hindsight and only after the due date for contributions had passed," the submission points out.